Social media evidence provides a wealth of new information against fraudsters. Learn three ways to use ediscovery in your insurance fraud investigations. Each year, the U.S. economy loses an estimated $80 billion to insurance fraud. That number could decrease greatly if more investigators used social media evidence in their fraud investigations. E-discovery, or the use of digital evidence, can provide a wealth of information against fraudsters if you know how to do it right. The key to using social media evidence in insurance fraud investigations is to find inconsistencies in the claimant’s story. They may present one story on their claim but live out another, which they document on their personal social media accounts. For example, say an employee claims to have injured her shoulder on the job. While off work on worker’s compensation, a friend posts on Facebook “Can’t wait to play tennis tonight!” to which she responds “Me neither!”. This would lead one to believe that she did not actually injure herself, or at least not as badly as she claimed. Or maybe a person claims that his car was stolen. However, days later he posts a photo of himself on Instagram with the car (and its license plate) clearly in view. This may be used as proof of a fraudulent claim. Some fraudsters slip up when posting on social media but others brazenly boast about their fraudulent behavior. When performing an insurance fraud investigation, scour the claimant’s social media accounts for posts bragging about their crimes. Say someone files a claim stating he was in a car accident. Later, on his Twitter account, he posts a story explaining that the whole thing was coordinated with a friend and how proud he is of their idea. A post like this would provide strong evidence against the claimant in an insurance fraud investigation. In Ohio,a woman claimed worker’s compensation after saying she slipped and fell in her company’s parking lot. However, she later posted about the incident on Facebook, revealing that she in fact fell at a nearby gas station. When the Ohio Bureau of Workers’ Compensation found out, they not only forced her to return the benefits she received, but also charged her a hefty fine. When using e-discovery evidence in insurance fraud investigations, it is important not to miss any potential leads. 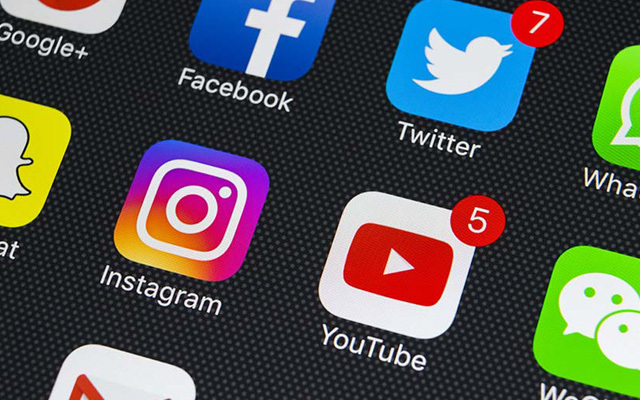 You may think you have found all of the claimant’s social media accounts, but you have to dig deeper. Fraudsters may create alternative social media pages where they post about their schemes. Hiring a private investigator can help you find these. Suspects may also unknowingly turn up in the social media posts or photos of their family and friends. For instance, a person who claimed a broken leg appears in a photo of a family ski trip posted by their sister. Doing a thorough investigation of the claimant’s close contacts can help you find more and stronger pieces of evidence to add to your insurance fraud investigation. Using social media evidence in fraud investigations comes with privacy concerns. Many social media users enable high privacy settings to protect their personal information. However, the majority of social media platforms will hand over users’ information if they receive a subpoena for it. When conducting an insurance fraud investigation, you need to prove that you gathered the information legally in order for it to hold up in court. One way to do this is to go beyond screenshots. Screenshots can be easily manufactured, so using metadata is crucial. Metadata, like the time and location where a post was created, the account or user ID, and the names of message recipients, provide valuable insight into fraudulent insurance claims. These pieces of information act as proof that the claimant gave false information. In the stolen car example above, if the timestamp on the photo is days after the car was reported stolen, it proves the claim was fraudulent. Social media is only growing in popularity. That is why all insurance fraud investigations should include e-discovery evidence. You might be surprised by the plethora of information you can find on a fraudster’s social media accounts.